Guardianship research experts, from grassroots advocacy organizations to academia and government, increasingly are realizing that our current system of guardianship, especially that of professional private guardianships, is significantly flawed. 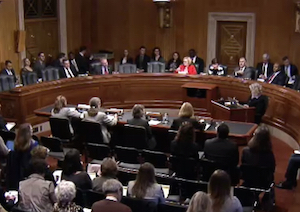 During testimony to the U.S. Senate Special Committee on Aging in April, they highlighted the serious challenges and potential for abuse and exploitation of older Americans by guardians and / or the very people entrusted with their care. This most unfortunate aspect of involuntary guardianship — which often affects assisted living residents, especially memory care residents — can lead to disastrous consequences. Forced isolation, in addition to being an excessively cruel and harsh punishment for an innocent frail person, is a serious health risk, resulting in decreased longevity, increased need for medications, greater demands on staff and escalating costs. Worse yet, it can lead to vociferous confrontations, major medical crises or worse-case scenarios. It doesn’t matter how the isolation comes about — whether court-ordered, imposed unilaterally by the guardian or implemented by facility administration in conjunction with law enforcement. Emotions run high, and mixed signals are rampant because these so-called “family-stay-away” orders are allegedly to keep the ward from becoming “emotionally upset.” Those really are code words to describe an older adult who becomes overwhelmed with emotions when reunited with loved ones during sporadic and constrained family visits. At the same time, the family members are required to pay excessive, even outrageous hourly fees to untrained observers (for instance, law enforcement personnel, social workers and non-medical aides) to make occasional visits with their loved ones for very limited periods of time. In extreme cases, telephone contact with the ward is monitored or even prohibited. These all too common practices to “protect the ward’s best interests” discourage family connections, taint every visit, add further stress to already tense situations and result in predictably adverse consequences for all involved. To combat these cruel assaults, legislative campaigns have been launched by several national advocacy organizations aimed at rewriting state laws to prevent the separation of wards and families. These include my organization, Americans Against Abusive Probate Guardianship; Kasem Cares; and the National Association to Stop Guardianship Abuse. Care facility managers and staff increasingly are finding themselves in unexpected and unpleasant confrontations with restrained family members who will risk almost anything to spend time with their isolated loved ones. There are no real alternatives to complying with a court’s stay-away order, yet any unwelcome conflict must be managed calmly, logically and professionally to maintain an environment focused on the emotional, psychiatric and physical well-being of all residents. In situations in which the guardian is the only one demanding the isolation, care managers should understand that these types of isolation requirements are a red flag indicating the high likelihood that the resident (the ward) is entrapped in a fraudulent and / or abusive guardianship that could expose the facility to potential litigation. As a best practice, long-term care managers independently should determine the necessity for such restrictions and take steps to avoid such non-court-ordered directives when they provide no benefit to the ward or to the facility. Nurturing and emotional support from family should be treated no differently than the unique nutritional needs of every resident. Just as food is not rationed and diets are tailored to accommodate personal preferences, support from family members should not be unreasonably rationed. The one possible exception is in extremely rare cases in which actual physical violence has been conclusively proven to have occurred previously or can be predicted reliably to threaten the physical well-being of a resident-ward. Such individualized action would go a long way toward improving the safety, comfort and well-being of a vulnerable older adult while paving the way to successful integration into new community living for a “ward” — who is still his or her own living, breathing human being. Sam Sugar, MD, FACP, is the author of the book “Guardianships and the Elderly: The Perfect Crime” (Square One), which Kirkus Reviews called “a potent, important call to action.” He is the founder and president of Americans Against Abusive Probate Guardianship, an organization designed to help expose corruption of the nation’s guardianship systems. He is a graduate of Abraham Lincoln College of Medicine at the University of Illinois in Chicago, is board-certified in internal medicine and is a fellow of the American College of Physicians. Sugar has served as the director for managed care at Evanston / Northwestern Healthcare and has taught at both Northwestern University’s Feinberg School of Medicine and at the Chicago Medical School.